Ergonomic chairs are usually thought of for office based workers only, however individuals within industrial, education, scientific and multiple other environments are at just as much risk of developing musculoskeletal disorders from prolonged sitting and poor posture. 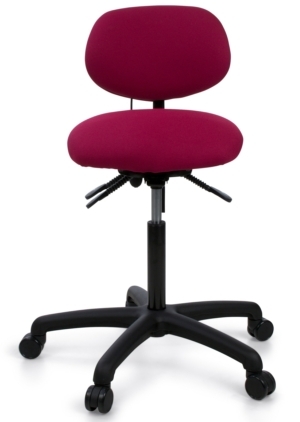 Our range of industrial chairs are designed to provide ergonomics for these industries and improve wellbeing as a whole. 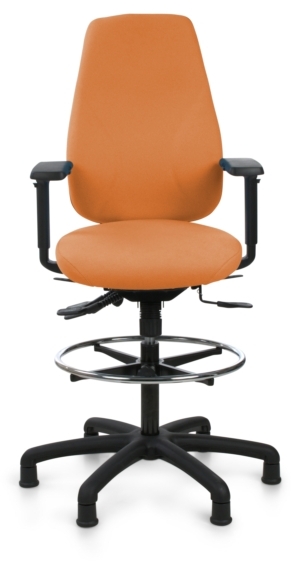 All of the industrial chairs have multiple features specifically designed for improved comfort and support and can be tailored with features such as anti-static and antibacterial fabric to suit any industrial environment. 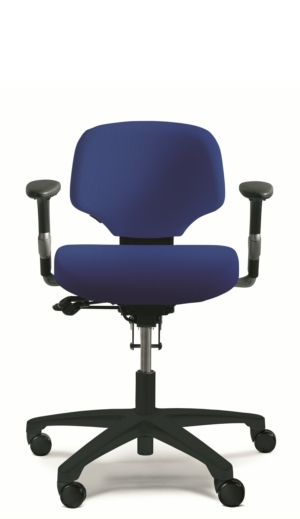 The full list of our industrial and draughtsman chairs can be found below, however if you don't see exactly what you require please get in touch. What is an industrial chair? 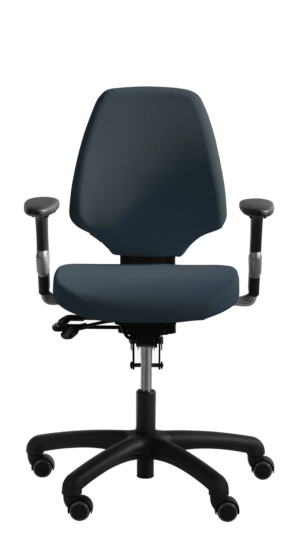 Our industrial chairs (draughtsman chairs) are adjustable, multi-purpose chairs designed for use within industrial environments such as factories and warehouses. 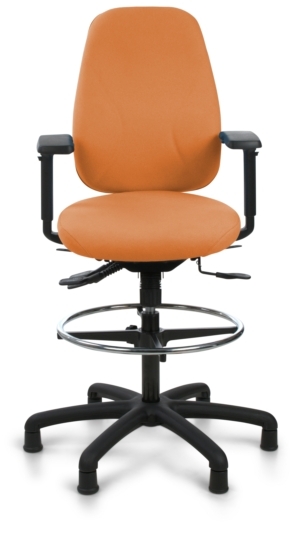 Why purchase an industrial chair? In environments such as factories and warehouses, posture is traditionally poor and the quality of chairs provided do little to help. Considerations of wipe clean fabric and anti-static in these environments mean that comfort and support is a secondary consideration. 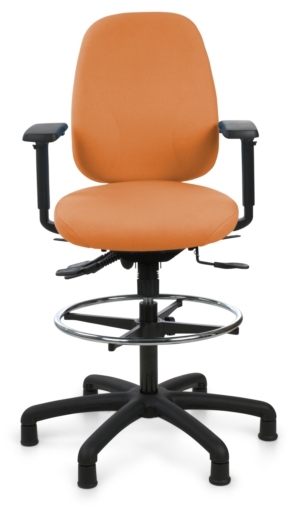 With our industrial chairs, these features can be provided but on a chair which provides comfort and support for good posture. 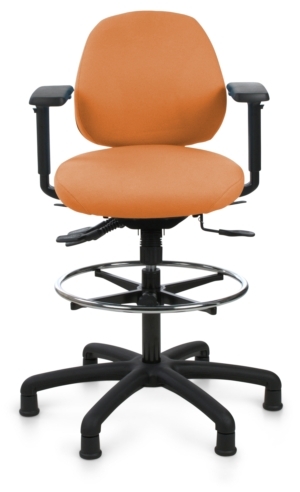 Ergonomic industrial chairs encourage good posture and body positioning to reduce the risk of work related industries and in-turn, reduce absence. 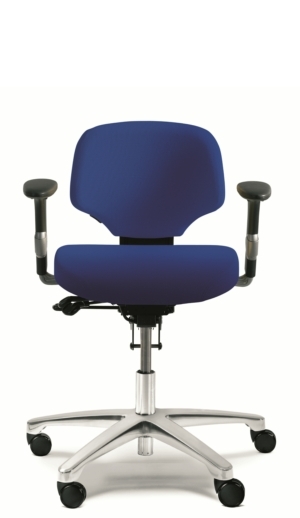 Our industrial chairs have various features ideally suited to industrial environments. 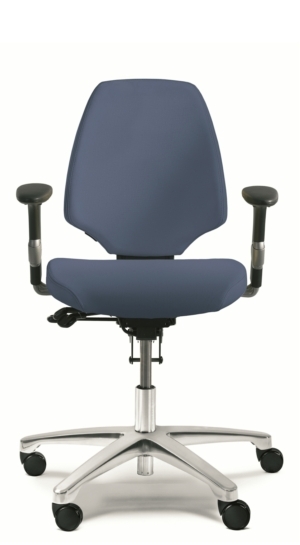 They have seat height adjustment to suit a variety of workstations and can also be supplied with a footring. The chairs can also be supplied with a range of castors and glides depending on the floor-surface and stability requirements.